Activa 5 Access Control Pin Reader. Activa 5 access control is a simple to use standalone access control product. Keypad backlighting for night and poor light conditions is contained in a polycarbonate housing with stainless steel keys and potted electronics. This allows for indoor and outdoor surface or flush mounted installation. Activa 10 Access Control Pin Reader. 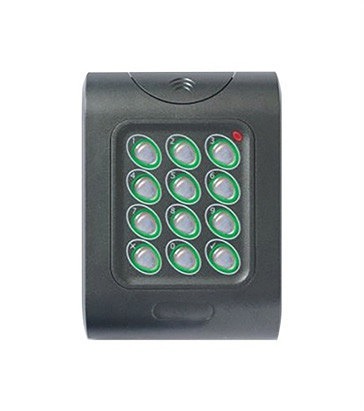 The Activa 10 access control digital keypad is a sturdy and durable unit made from vandal resistant die cast zinc with backlit stainless steel keys. It provides access control on standalone doors for both inside or outside. 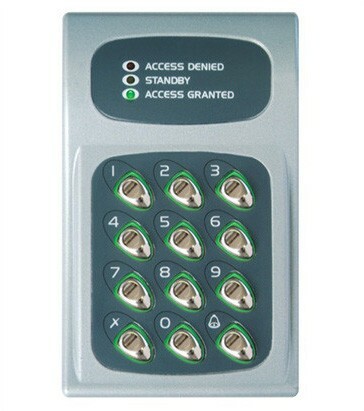 The Activa 10 is a multi-purpose keypad for access control, door monitoring and interlock applications.